Enjoy her track "You're Mine" and vote for it! Check out their "Daydream" and help them to win! Listen to their song "Escape from New Jersey" and vote for it! About: 4-piece band Positive Chaos from Wolcott, Connecicut. 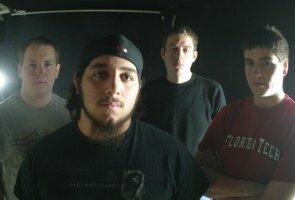 "The summer of 2005 witnessed the birth of Positive Chaos, a post-grunge band from Wolcott, CT. Formed by Dave Valletta on vocals and drums, Brett Bernier on guitar, and Chris DelGobbo on bass, the trio quickly started playing high schools and bars. 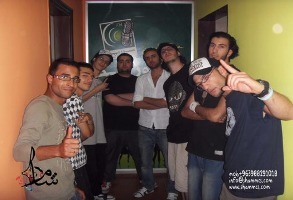 Positive Chaos recorded and released a 6 song EP called “Sure Fire Way” in the fall of 2006. 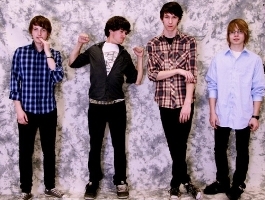 The following year, Positive Chaos was invited to include a song on the Webster Theater Compilation Album, which featured their first single “Sore.” In 2008, there was a drastic change to the lineup. Pat Harrigan took the reign on drums, allowing Dave to move out from behind the set and pick up a guitar. 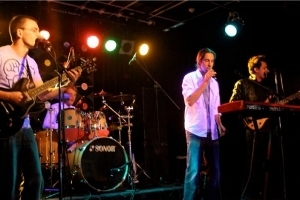 Positive Chaos was featured as a WCCC Homegrown Band in May 2008, and have received extensive airplay. Positive Chaos is looking forward to touring in support of their album, and rocking the world"
Let's talk about the best music album you have heard recently. Tell us more about it and why you liked this album. As far as the best album we have heard lately I think its pretty unanimous among us that "Wasting Light", the new Foo Fighters album is our favorite new album of the year. Next ArenaCast podcast will be dedicated to Hip-Hop. The 3 artists presented below will compete to be featured in this podcast! Check them out and vote for them in our Poll at our Facebook page! Check out his track "Good Look" and vote for it! Listen to his track "Thatz My Daddy" and support the artist by tour votings! 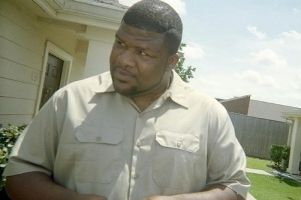 The third artist call himself Q.B.Of Da' Midwest aka "The Gay Vigilante"
Check out and vote for his track "I'm Tired"and help him to win! About: MANTA the Glasgow based 4 piece band. "Origionally founded in late 2006 by Bryan Gallacher and Dan Tonner MANTA have reached new levels when joined by Marc Quinn and Ken Blair and went on to write an absolute mountain of material that is slowly being recorded and are writing material at a tremendous rate along with a UK tour starting in 2011 with a single release on the way in the summer." The best album I heard recently has to be Eric Clapton & Steve Winwood Live at Madison Square Gardens. 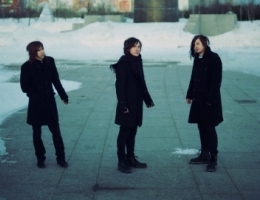 About: Invariant - trio from Saint-Petersburg. "Well... We're young... We're making music with our souls. We want it one day to be heard all around the world and make people just a bit more happy... Let's say we just follow the path of our hearts. :) Anyway, our music is the best description for us." The best album of recent time.. Don't know really. =) Unfortunately I can't say that I've recently heard something that is really nice.. I mean the whole album.. I can even say that the present music is getting more and more emotionless.. This week: This episode highlights new album releases by Bon Iver, Simple Plan, Jill Scott, and LMFAO while featuring 10 songs by artists from New York, England, Malta, Poland, Russia and Scotland. First of all, we would like to say thank to the thousands of you who are listening to our ArenaCast weekly podcast each and every week. We surf among the hundreds of new artists on R&R World and delive to you only the best songs by the most talented musicians. And now to make the podcasts even better, the R&R World team has made several important updates. R&R World ArenaCast – Only the best music! Stay tuned! "GuRL has been hiding in Edmonton for about 2 years now, working on and recording their first studio album. The bands songs are catchy and memorable, and eventually become a part of you like a jock strap thats too small. With influences like Blink 182, Green Day, Sum 41, and Rise Against, who the hell wouldn't like us!?! So far, steady rehearsals and a tight professional live show have been the bands main focus. Expect to see us around Edmonton and touring around Canada soon!" Our band, friends, family, music, longboarding. "Norwegian singer/songwriter who has been working as a "guitar-entertainer" in pub's, bar's, private and company parties since 1995. Mostly with cover-songs, but somtimes also with my own material." Spend time with family and friends. Play music and have have a good time. "A 24 yr old female singer/ songwriter. A sound engineer by profession but a singer by heart. My music ranges from RnB,Pop, Soul/Jazz, Dance. I believe music heals so therefore i try to incorporate alitttle bit of everything in the music i write." Make and release 4 more albums, meet oprah, travel to malaysia,paris, and new york, bungi jump and go sky diving,have a child. "Heartwork is a semi-acoustic duo consisting of Malene Markussen on vocals and Odd Henning Skyllingstad on guitar. 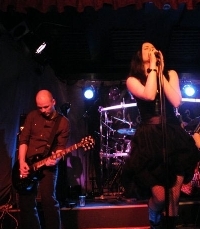 Malene and Odd Henning are usually found in the metal band Acelsia, but when they need to play with less brutality and volume, they retreat to Heartwork. Heartwork performs both original songs - small, melodious pop songs - and their own interpretations of other artists. The repertoire moves between different moods, always with the good, catchy tune in the center. Malenes pure and clear voice, combined with Odd Hennings melodic guitar provides a beautiful and evocative concert experience." 5. have family and friends that believes in you. "Working today as Pc technician, the music is just on the side for now, Been singing most rock over the years but now I seem to be falling back into the singer/songwriter genre. Writing, playing and recording my own music, all in my "home-studio" with limited resources, I travel along and hope to get a break someday but for now I'm just doing for the relief of expressing myself"
This week: This episode highlights new albums from Eminem, Take That and Paul Simon, while featuring songs by artists from New Orleans, Syria, Australia, Canada, Sweden and Norway. 8 Sham MC's Eastern I.D. 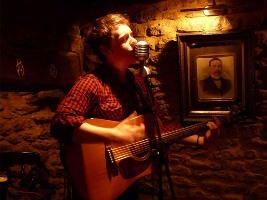 "I'm a singer/songwriter from south UK. I'm also a full time performer. To me there is nothing better than doing something you love for a living! The artists that have inspired me to write are probably John Martyn, Bob Dylan and Bon Iver. In my opinion their music is something very special! When I first heard John Martyn's classic album 'Solid Air' I was blown away..such a unique and inspiring style." My partner, my acoustic guitar, my friends, guinness and my music collection. 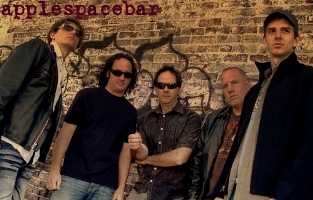 "Not Otherwise Specified began in December of 2008 when founding (and currently only) member Craig Kerley decided to return to his music roots. After a 15 year hiatus, Craig decided it was time to stop neglecting his love of writing and performing progressive rock and began work on NOS's debut album, Judgment. While initially meant to be a rock album, the songs kept coming out prog. He decided to stop trying to fight this pull and allowed himself to be pulled into the progressive rock sound." The five things that are most important to me are my family, my music, my health, and my ability to count to 5. "Sharbaby has always loved music from the age of 5 years old, her first talent show!!! Shar got really inspired by Hubert Sumlin, who played with Howlin Wolf. Shar was 11 years old when she started to take guitar lessons. Shar's Dad bought her first electric guitar (a Harmony Rocket) in the early 60's, which she still plays today at times on stage. Shar's Dad was a gospel singer in the 50's and early 60's. Shar's Dad opened for other gospel singers such as Sam Cooke & the Soul Stirrers, The Dixie Humming Birds, The Alabama Blind Boys to name a few. Shar's Aunt Marie gave her the name SharBaby at the age of 6 years old. 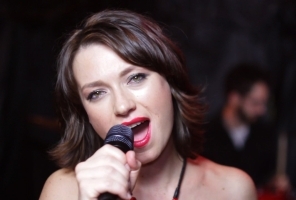 Shar has played in many festivals both in the US and Europe. Shar can also be heard on many radio stations in the US and Europe. 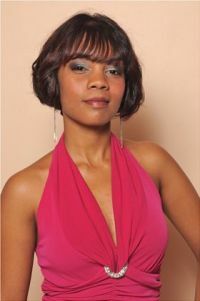 Shar has recorded many CD's over the years with both herself and other Blues Artists. 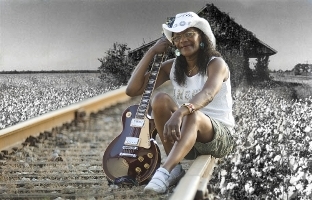 Shar is currently ranked #1 in Birmingham, Alabama for reverbnation's Blues Chart. Shar has a single, "Crazy About A Mercury" that hit #1 in May, 2010 on Cashbox Top Roadhouse Boogie Blues Charts. Shar sells CD's in 15 Stores including CD Baby, Tuncore, Digitdoc Records in the UK. Shar has appeared in Blues Matters UK magazine, Rhythm & Blues Magazine UK, Big City Blues Magazine Detroit Michigan and many others. Shar will be touring the UK again in 2012." "From the ashes of two prominent NZ rock acts, Shelter has emerged and are already beginning to make waves in the NZ music scene. It was near the beginning of 2010 following the demise of premier Rock act Miscreant, that vocalist Chris Brebner found himself yearning for another musical creative outlet. 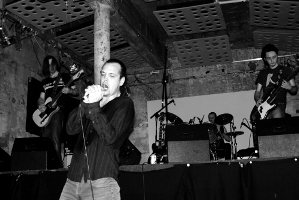 After writing some solo material, Brebner contacted Damian Hilt & Alan Treanor, both previous members of Miscreant to gauge their interest in trying something stylistically different from their earlier collaborations. With all three in agreement to press forward on a new musical venture, the word was put out for a talented guitarist to join them on their endeavors. 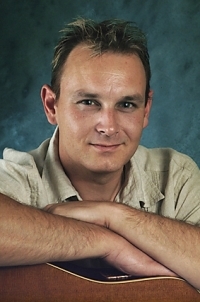 Joe Ravenhall answered the call and quickly added a new dimension to the group. With the final addition of Nathan Cooper on keys, Shelter had found their exciting new sound and were ready to head into the studio. Fresh from New Zealand’s premier recording facility York Street Studios, Shelter have produced two tracks combining the purest elements of modern rock with intricate melodies to introduce the world to their infectious new sound. 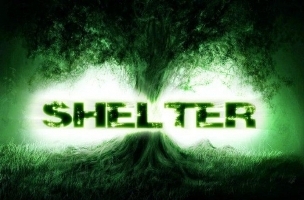 With more studio time booked with Premier music producer Andrew Buckton, the wheels are only just beginning to turn on the promising machine that is Shelter." My Daughter, my fiance, my friends, Heineken & my acoustic guitar. 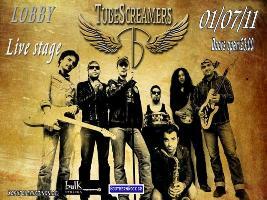 "...We are THE TUBESCREAMERS BAND.A Rock'n'Blues Band from Greece. We've been rocking since 2006 and do not intend to stop ! We mostly play blues-rock covers but also have several tunes of our own. The TUBESCREAMERS BAND are: Bill Markos-Lead & slide guitar.... Alex Antoniadis-vocals... John Psiliagos-guitar... Alekos Hliapas-Drums... Stelios Tzioumerkas-bass... Christodoulos Mihaloudas- harmonica... Babis Prodromidis-sax..."
This week: We highlight new albums from the Arctic Monkeys, All Time Low, Battles and Black Lips. the 10 songs featured are by artists from New Zealand, Chile, Atlanta, Alabama, Canada, Italy and the UK. "I am a man of god who is on a mission for christ and b4 he comes back I will have done all that god has called me to do in this life! a-men. So through music god has made away out of no way for me to get his word across to his people. So listen and enjoy. Yo boy DA.GYANT!" My family. My finances, My relationship with God. My record label, My healt. 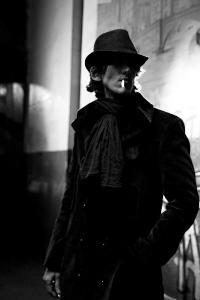 "Among Suspects (Gio) original from Guayaquil, Ecuador has been living in Berlin, Germany since 2003. His music is mostly Indie-Rock but his curiosity takes him trough several musical layers. His ideal of music goes "Enjoy making music, worry later about perfection". ...I love to make music that combines all kinds of generes, anything from blues to hiphop to jazzy rock! Your way too limited if you stick to just one genre..."
-1.Having a spiritual relationship with a real rockin' God and seeing how he constantly blows my flippin' mind! -2.Gettin' to see and spend time my family; those times are far too rare so the are extra spectacularly awesome when they happen! -4.Makin' music, singing my heart out rocking out at a show and pretty music anything involving the beauty that is music. -5.The Gift of creativity! The ability to inspire and innovate is so outstandingly powerful. "David Reo is a blues guitarist songwriter with a fine catalog of tunes out there in the blues, pop blues, country hybrid, easy listening modes. David Reo also was an apprentice writer for 26 Happy Days Television episodes. Wrote the Potsie Quits School episode that has been in syndication since the beginning of time. 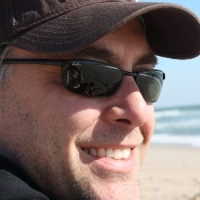 Wrote and sold a script for Quinn Martin Productions entiltled, A Rock & A Hard Place Episode entitled, The Treasure. Wrote a one half hour situation comedy for the television show Double Trouble Wrote a one half hours situation comedy for the television show Blossom. Episode 63 PARIS. He wrote a one half-hour situation comedy for the television show Blossom Episode71 entitled, 38 SPECIAL He wrote a one half-hour situation comedy for the television show, The Laroquette Show. Wrote and published music thru BMI for the situation comedy Blossom entitled, I've got my ticket He also performed the song on the show. 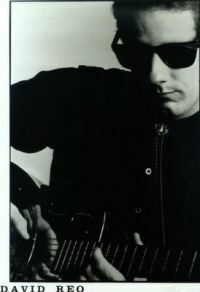 He has played in live performance in Los Angeles weekly steady for many years. Currently he is playing with The Preachers Blues Band out of Ventura, CA." 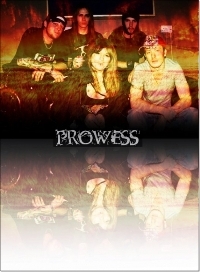 "Prowess is a 5 piece heavy rock/metal band from the south of england.Started in 2009 and formed by singer 'Boe' and drummer 'Woody' then bassist Tris jumped on board and after many changes for lead guitar found master shredder 'Martin' a.k.a. 'Tweek', and finally recruited Darren on rythym. The band has recorded 5 studio ttracks ranging in sound from punk rock to all out in your face metal with that feminine touch. They band are now fast becoming a very popular live band locally and have now started to headline the gigs on a regular basis due to the energy and audience participation.Watch this space, a british heavy rock band to be reconed with"
1). Name the 5 most important things in your life. "After a long summer of recording their first album Headphone Symphony is now out to play like crazy til their throats are sore, their fingers worn to the bone and their thighs chafed red raw. The first album shows the bands ability to fuse Blues stylings with Rock, Funk, Pop and just about anything else you can think of. They are out to stun with Keys, Guitar, Bass and Drums mixing in a way most people knew was possible but have not dared to try due to the probability of seriously harming themselves. Add 3 part vocal harmonies to the mix and you’ve got a recipe for musical deliciousness that you won’t be able to refuse." Girlfriend, headphone symphony's music, coffee, my work as a music tutor and my friends. 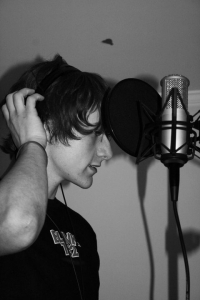 "I am a 21 year old singer/songwriter in Cuyahoga Falls, OH (Not far from Akron). When I was 13 I played drums for a band called F.E.A.R. After many years of playing together and line up changes the band fell apart. Since I wrote most of the material I continued to play music on my own, and continued writing songs. I perform at open mic nights frequently and most recently booked a ton of shows. I am also in the studio recording a 5 song EP at Hope & Truth Studios in Massilion, OH." Record and perform until I get airplay. the second my music reaches the radio I think I can die happy. This week: This episode highlights new albums from Eddie Vedder, Death Cab for Cutie, My Morning Jacket, Jordan Knight and Flogging Molly, and features 10 songs by artists from Ecuador, England, Greece, New York and Hollywood. "The Virgins Old have been around since 1986. Since then there were 11 CDs, 3 DVDs, a book of biography, a comic book, brand name clothing, mugs and, on completing 25 years of existence, the band will make its most ambitious project is the "Beer Old Virgin. " The only remaining original formation de Paulo Carvalho and Alexandre "Horse" Days. The band currently has Tuca Paiva on bass, Simon Brown on drums, Ju Kosso on vocals and Roy Carllini on guitars." It is indeed difficult, i think.I'll talk about rock. 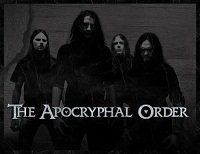 Consulting the tarot, the horoscope and the stars, I see a new era of heavy music coming. Think with me: in the beginning of everything we had Chuck Berry that was heavier than the Beatles, who ruled in the 60s. Then we had more heavy sound with Jimmi Hendrix, thank God. The progressive rock almost destroyed my balls. After that, punk rock saved us. But punk was diluted until it becomes something of shops and fashion. The Grunge brought back the spirit of rock wild. And since that time we are under the command of the tearful "emocore". For me, thinking that everything is cyclical, we will soon have a new time to return the weight to rock. Amen.